Manufacturing needs are as different as the jobs customers need completed. You want to make sure you have the best materials and equipment to deliver a product above your client’s expectations on and before deadline. Purchasing power starts by acquiring the best equipment to fulfill your customer's requests while maintaining the highest quality and current safety standards. 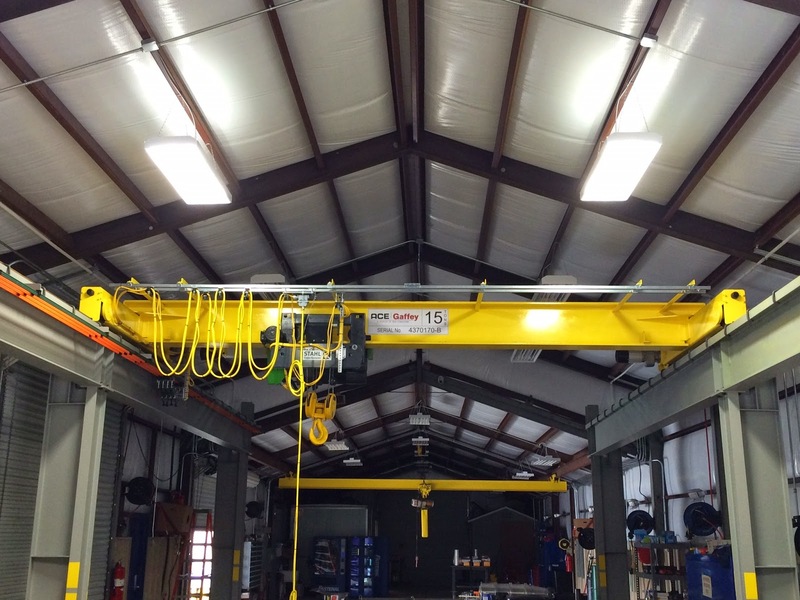 The Crane Manufacturers Association of America (CMAA) provides great resources to assist you in asking the right questions when looking to add the best single girder crane for your company to continue manufacturing products and completing projects that best serve you and your customer’s best interest. Contacting Ace Industries for more information on acquiring, servicing, repairing or replacing your single girder crane is the first step to better sales, better results, happier clients, and more referrals. As a member of CMAA and industry leader in the southeast for crane creation and distribution we’re dedicated to helping you continue to build safer, better and more efficient products. Safer project management and completion help you provide your clients and investors with the ultimate product, satisfaction.